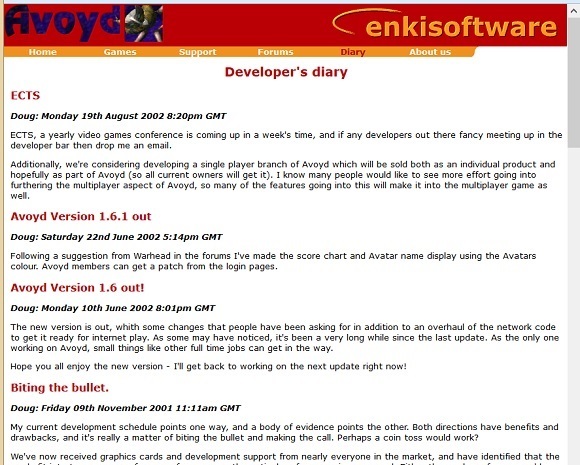 Archive of Doug's Developer's Diary about the first version of Avoyd, developed from 1999 to 2003. To our knowledge, Avoyd 1999 was the first voxel game featuring a fully editable environment. It is the precursor of the current Avoyd game project.